"I must say that the Staff were very friendly & helpful." Have a question for Billabong Hotel? 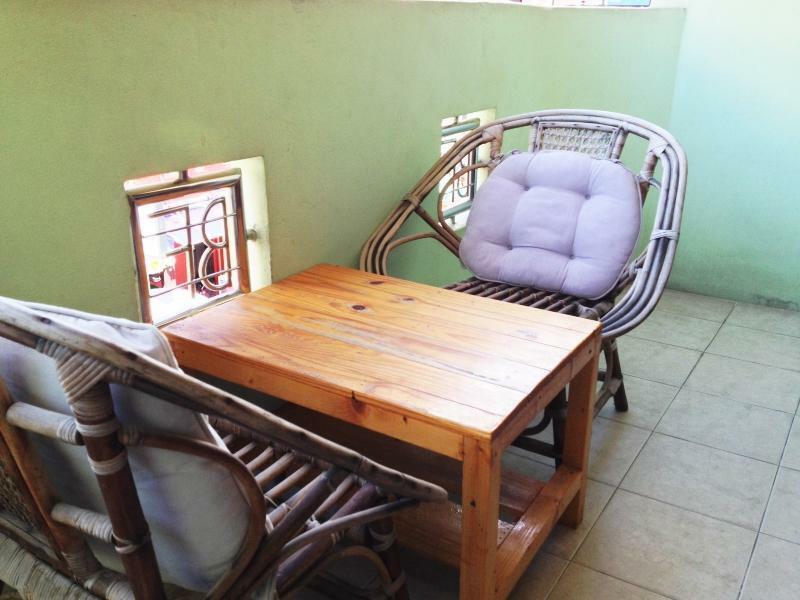 Ideally situated in an excellent area, the Billabong Hotel will be a perfect choice for your upcoming holiday. The rooms here overlook the city for stunning views of Pattaya. 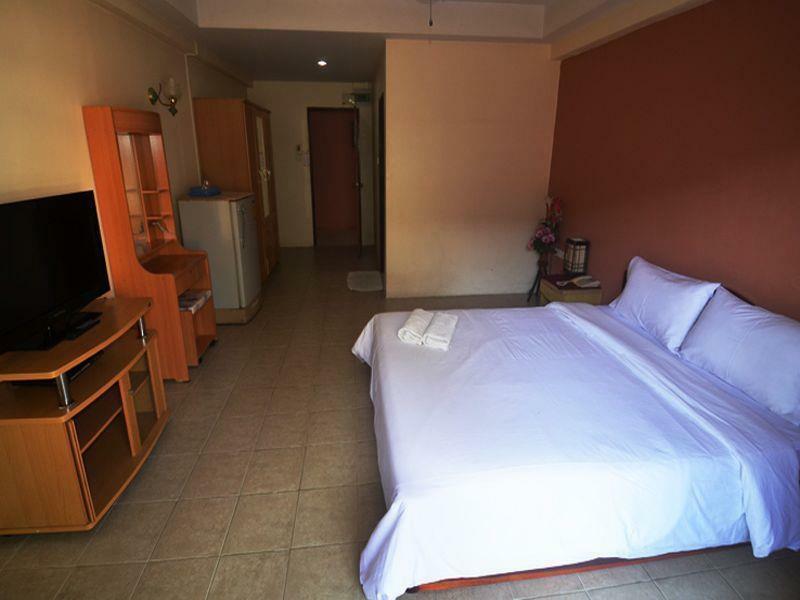 This hotel is close to attractions and landmarks such as Tony's Gym, International Gym, Style'n'Style, Mike Shopping Mall, and Central Festival Pattaya Beach. It has a bar, restaurants on the property, a coffee shop, and room service, so guests can choose to eat in or grab something small to munch on. With tours available, it is the perfect place to stay to learn about the area and see everything you can during your stay. This hotel has multiple convenient features, such as safety deposit boxes and a smoking area. The Billabong Hotel provides free Wi-Fi in all rooms, as well as Wi-Fi in common areas, ensuring that visitors are able to connect with their friends and family back home without overspending on international charges. All of the rooms come with air conditioning, an in-room safe box, satellite or cable channels, and a shower, as well as a CD or DVD player, a fan, and a refrigerator. The Billabong Hotel offers a variety of useful services, such as laundry services, a concierge, and luggage storage. The front desk is open at all hours, so there is always a member of staff behind the desk to help with any questions that you have. Check-in is offered from 12:00 PM and check-out is until 12:00 PM. Bus Terminal is 3.0 km away and Pattaya Railway Station is 3.0 km away. The nearest airports are Utapao International Airport (UTP) and Suvarnabhumi International Airport (BKK), which are located 29.9 km and 85.8 km away. Unfortunately extremely loud Music played nightly from 21:00 hours through to 02:30-03:00 hours, ironically one of the Speakers is directed towards the Stairwell access to the Rooms above! Fortunately I did have Hearing Protection with me to combat this noise pollution. No complimentary drinking water in the Room Refrigerator or Coffee / Tea making facilities in the Room which I feel is mean spirited. The Television in the Room appears ancient (looks like it was purchased 10-15 years ago) It appears that investment in the accommodation is not seen as a priority. I must say that the Staff were very friendly & helpful. it's right above the pub, thus accessing it might be a bit of a hassle if you don't enjoy the crowd and you need to climb the stairs which can be inconvenient to some. however, the large room and the atmosphere suits me well, having access to many point of interest by just walking about made it a good choice for future trip. There's no great Hotels around Bua Khao at 1000฿. No elevator fourth floor walk ups abound. Rock band and bar girls right downstairs? I bailed. Lift and quiet are possible. This is just a little too much! I loved parts of it. The girls were great. If you like going in and out of your room a lot figure in the heat and the walk. Room was nice but not worth the aggravation. I knew the facts going in. It's not them, it's me! 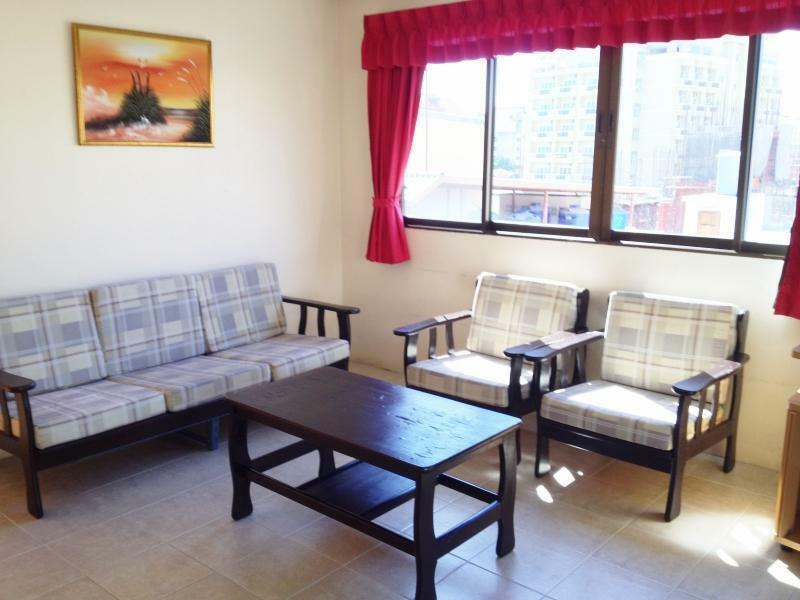 Good clean guesthouse, good location, staff are all friendly and have various levels on spoken English, but never any problems communicating. The big down side is that every night there is a live band who play till 2am but allow another 30 minutes. Outside there are other bars and the one opposite is playing loud gangster music till 3.30am. Don't expect to get a quiet night, if you're a night bird its ok, but if you're wanting an early night forget it ! its ideal for anyone who needs a clean room to shut your eyes. But pattaya would keep you awake anyway. Wifi good but new owner now no food. But still loads around lk metro and beer is cheap and staff friendly. On the whole very good, room slightly smelly through sewage when I first arrived, but that was soon sorted out for me when I mentioned it to a local Thai girl, the staff and girls at this hotel are fantastic and make you feel very welcome as soon as you arrive, would defiantly stay in the area again. I stayed here for twelve nights and have no complaints. The room was spacious and clean, the staff were friendly and helpful, and the 'Aussie Breakfast' was good value. There is plenty of other bars and restaurants within a few minutes walk so there is plenty of choice for lovers of nightlife, 24 hours if you like. Not the place to stay, though, if you want an early night! I have just returned after 2 weeks @ Billabong. Its a great place to stay. The room upon presentation was very clean. Housekeeping and replenishment of the mini bar fridge was done daily. Huge room with good sized ensuite. The main bar has 2 for 1 deals 2pm to 2am daily. The owner Greg possesses a wealth of local knowledge and is very informative and helpful. The place is situated right in the middle of action town. Everything is within walking distance. Highly recommended . Budget price. I would return. food and beverage 24/7 great prices. big rooms. perfect location. Brilliant. Always is. Safe fun and value for money. Great location. Food. Tv's and sports to enjoy a beer and repax watching some sports. Close to everything. Great honest staff. What more do you want. the room was good overall. it was large as expected with windows all the way around and a good size balcony as well. the bathroom could use some updating however and repair as the bathroom door would not actually close as it was warped or something.a new shower curtain would not hurt either as the existing one was pretty dingy. i really enjoyed the staff and found the food to be pretty good. the location on lk metro is great as it puts you in the middle of everything from queens club to the office to devil's den. laundry service was fast and inexpensive as well. i can highly recommend the hotel. this is a really bad hotel. the bar/front desk staff are inattentive and unfriendly. they seemed put out to be asked anything. the rooms were clean, but poorly maintained. mine had a broken toilet seat (along with a notice mounted on the wall that listed charges for anything broken..including a toilet seat). there was a sign on the wall in the bathroom threatening customers with charges if a guest should flush a tampax. the bedding was highly substandard, with a comforter with not cover and no top sheet. the comforter in my room had a crusty spot that i think was male bodily fluid. the other side was ok. it is very loud up until after 5am. i would never stay here again, especially with hundreds of other choices available. this is right in the middle of lk metro - the businest street in pattaya after walking st. great location. i had a huge room - great vfm. It is very noisy but it’s in a busy nightlife area. Ithe only problem I had was it ended up costing more than advertised and you have to cover the shower waste to stop the smell coming up from the sewer maybe it was only the room I stayed in . Location is good. Cleaning bad. Not even complimentary bottled Water anymore. First hotel here I have stayed in where water was not provided. Cleaning forgotten one day. Staff said later it was cleaning ladys day off?! Really?! Sheets had holes and stains on the as did bed sheets. Loud music until 3 am daily from The bar. I certainly will not stay again. My stay was very good however very noisy band playing late and music in the Street but when your drunk it helps to sleep lol. I stayed on first floor very nice maid there called Pim she will clean more that just your room if you want extra for little tip shes great. A few stains on the bedding but thats ok its all fun opps think I added a few of my own lol. Aircon very good and black out curtains for darkness in morning. Like I said great spot but noisey could hear empty bottles being put in bin early hours of the morning like around 6am just when Im trying to sleep and plenty noise from bar girls, my tip just get yourself a sweet girl and get in the room drink plenty whiskey and beer and good night and yea ha will be going back again. I wasn't expecting it to be located in the middle of a red-light district where bars play loud music nearly all night. Thinking about what happened on the bed made me a bit uncomfortable. But the owner and staff were really friendly and if you are looking for fun, this hotel is a fine option. First let me say that the staff was very friendly and attentive. Checking in was done at a very busy, very loud crowded bar, not exactly ideal when you have luggage. The ground floor is a very popular bar and I think restaurant. I stayed on the next floor up and it wasn't like being right there in the bar itself but not far from it. Not a big deal for me but I'm sure many people wouldn't be able to sleep in this environment. Lucky for me I don't get in until everything is closed and quiet. The room was good sized. It smelled bad. The bedspread and pillows had stains on them. I think I added some more stains myself. The walls were dirty. The whole room needed a good cleaning. There were more than a few roaches. The hot water heater didn't work. The room safe wasn't big enough to put a computer inside. I'd say you get what you pay for but that doesn't really apply because it really wasn't that cheap. I would not stay in this dirty place again. There are so many others nearby that are much nicer and even cheaper. Having said all that the staff were really nice.